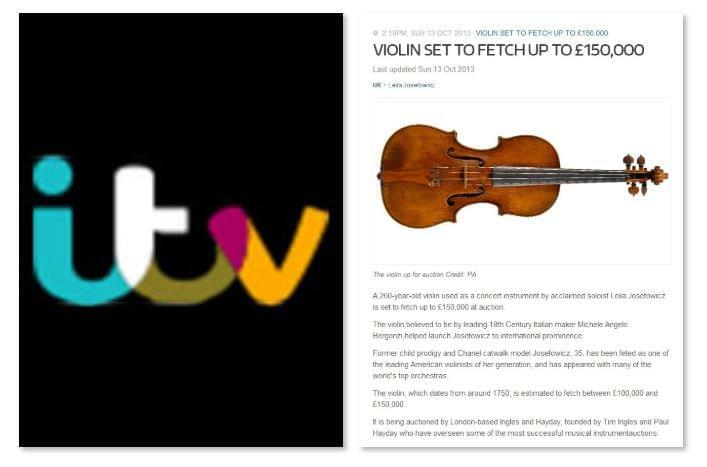 A 260-year-old violin used as a concert instrument by acclaimed soloist Leila Josefowicz is set to fetch up to £150,000 at auction. The violin, believed to be by leading 18th Century Italian maker Michele Angelo Bergonzi, helped launch Josefowicz to international prominence. Former child prodigy and Chanel catwalk model Josefowicz, 35, has been feted as one of the leading American violinists of her generation, and has appeared with many of the world’s top orchestras. The violin, which dates from around 1750, is estimated to fetch between £100,000 and £150,000 . It is being auctioned by London-based Ingles and Hayday, founded by Tim Ingles and Paul Hayday who have overseen some of the most successful musical instrumentauctions.